It is often said that Eskimos have dozens or even hundreds of words for snow. Linguists laugh and say this is just a myth started by anthropologist Franz Boas, who didn’t understand an advanced word formation technique known as polysynthesis. Modern anthropologist Igor Krupnik is fighting back, however, counting at least 53 meaningfully distinct words for snow in the Inuit dialect spoken within the Nunavik region of Canada. While we prefer to remain on the sidelines of inter-disciplinary academic spats, we can’t help but think that skiers and other alpinists are not impressed by the possibly-mythological number 53. We’ve started compiling a list of words and phrases for snow below. Please submit your entries in the comments, free of copyright, for inclusion in the list. blower – powder so light it could be transported by the faintest of winds. boilerplate – snow hardened like the metal on the side of a grade-school boiler. bottomless – powder so deep you don’t feel the harder snow below. breakable crust – unsupportable hard layer on top, soft underneath, impossible to ski well. bulletproof – snow so hard it could seemingly stop a bullet. butter – delightfully creamy snow that is spreadable with skis. cement – unpleasantly hard snow set up like concrete. chop – old powder that’s been chopped up by skis. chunder – a chunky mix of ice, clumps and other irregularities. cold smoke – snow with the density near smoke, as if it could float away. compacted – snow that’s been ridden a bunch. [un]consolidated – snow that has [not] settled and become denser. corduroy – freshly groomed snow at a ski resort. corn – large round snow crystals formed from several melt/freeze cycles. cream – snow that is spread by your skis like a cheese on a bagel. crud – various types of junky snow that doesn’t ski well. crust – see breakable crust, melt/freeze crust, rain crust, sun crust, supportable crust, wind crust. [avy] debris – snow that slid downhill in an avalanche and hardened. depth hoar – faceted snow formed near the ground. dust [on crust] – light helping of fluff, often found on top of a crust. facets – angulated snow crystals formed through metamorphosis. firn – old glacial snow that has survived summer melting but is not quite ice. flakes – falling or fallen snow in big crystal formations. fluff – beautifully unconsolidated powder. flurries – lightly falling snow. freshies – freshly fallen snow. glop – wet snow that sticks to the bottom of skis or skins. graupel – styrofoam-like balls that fall from the sky, often pooling in depressions. groomed – snow nicely machined by nice people. hardpack – snow that is packed solid from skiers, wind, sun, or anything else. hoar - see depth hoar, surface hoar. ice – snow ice formed from skier compaction or similar; different from water ice used by ice climbers. isothermic – snow with uniform temperature, capable of being punched through to the ground. mank – used similarly to crud in various contexts of unpleasantness. marble – extremely hard snow, as if made from marble. mashed potatoes – it’s like skiing on your food. melt/freeze crust – hard top layer formed by warm-then-cold temperatures. mush – sloppy wet spring snow. névé – refrozen glacial snow that is younger than firn. packed powder – resort euphemism for skied out. powder – a drug for some; refers to soft snow, often deep. pow[-pow] – diminutive terms for powder. rain crust – hard top layer possibly caused by global warming. recrystallized – powder shaped into crystals that are different than when it landed. refrozen – snow that has melted and reformed. rime – supercooled fog / cloud that accumulates on trees and other surfaces. sastrugi – snow with hard wavelike ridges formed from wind. saturated – snow damp with melted snow. slop – heavy snow in a pre-slush stage. sluff/slough – unconsolidated surface snow that is sliding or has slid downhill. slush – mixture of snow and snowmelt. snirt – snow mixed with dirt. snow – let’s not forget the basics. spindrift – sugary snow that cascades down steep faces. sugar – recrystallized powder that refuses to bond with itself. sun-cupped – snow pocketed with indentations melted by the sun. supportable crust – subcategory of crust that will hold the weight of a skier. surface hoar – crystallized surface snow formed from condensation. sun crust – crust formed by solar heating followed by cooling. [un]tracked – previously fresh snow [un]marked with tracks of glisse alpinists. variable – see all other entries. velvet – silky smooth semi-dense fresh snow. 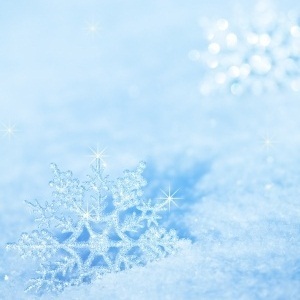 white gold – indicative of the preciousness of snow to skiers. wind-affected/blown/hammered/jacked – snow that has been affected by wind. wind crust – crust from by wind rounding and packing crystals into tight formation. windboard – hard pack formed from wind, often hollow sounding. windslab – snow formed into a cohesive layer by wind. Can you think of any to add? The primary requirement is that the word can be used colloquially as a noun to refer to snow. We decided to leave out snow formations such as cornice, drift, flute, pillow, roller ball, spine, etc, and stick to words that describe the snow itself. Cowboy Powder - Similar to cold smoke, but only found in places like Wyoming and Montana for obvious reasons. So good, it even makes cowboys smile! Snice: Manmade snow in the east, particularly after the traffic has polished it. water ice: More the preferred surface for ice climbers, but riders occasionally encounter this glassy, smooth, frozen water surface in their quest for the other 65+ terms for snow. chicken heads - when frozen bits of snow stick out across the snow slope, resembling, you guessed it, chicken heads. death cookies - that fine moment when large chunks of old rollerballs litter a slope, creating an obstacle course that, if incorrectly navigated, may result in death or injury being inflicted by one of the cookies. Gnar = slaying the good stuff. Laying down an epic run. Formica: hardback with a light coat of powder.